The construction world can be regarded as one of the most dangerous industries to work in. Because of the inherent hazards that come with working on a construction or repair project, both construction professionals and laborers uphold certain standards to ensure a safe working environment. Contractors, surveyors, engineers, project managers to employers–all have a duty of care to observe. 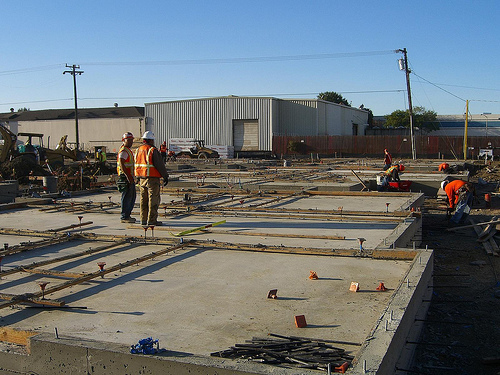 They make sure that assessments of risks involved in any facet of construction are made. Laborers, on the other hand, benefit from the assessments by exercising preventive measures. Some of the most common accidents that occur in construction sites involve six-feet-or-more falls from ladders or stairs. Other accidents are caused by the failure to implement safety precautions, such as improper building of scaffolding, use of dangerous tools and unsafe machinery, and other hazardous issues. Without proper implementation of safety precautions, working on an elevated surface may result to debilitating injuries and even death. According to the Bureau of Labor Statistics (BLS), it has been estimated that fatal accidents involving construction workers accounted for 15 percent of all job-related deaths in the U.S. Such injuries or deaths may not have happened if a certain construction or repair project employed safety rules or standards of care. Such occurrence is categorized as construction negligence. The injury was the result of the construction professionals’ negligence. Other than in a construction or repair project site, construction negligence also happens on highway construction and post-construction efforts. Unsafe conditions during roadwork can be considered negligence, especially if workers, as well as motorists, consequently sustained certain injuries. Even a complete building can be a source of negligence, in which the contractor or subcontractor failed to adhere to building codes. Construction defects, such as low structural integrity of the building, mechanical and electrical failure, and low-quality finishes, may lead to injuries and deaths. Melissa again: Thanks Anne for your post! Readers: Watch this space– I’m planning on posting an infographic tomorrow that will show construction accidents & related statistics. Stay tuned. In the meantime, please leave any questions or thoughts in the comment section, below. Photo of workers on bamboo scaffolding (c) Terrance TS Tam. One of the Architect’s responsibilities on a construction project is that of construction contract administration (“CA”). While not every contract contemplates the architect performing a CA role, most commercial construction projects do. What, exactly, should be included in the CA role? The CA role can be whatever the parties agree upon. In fact, the AIA A201 form contract documents anticipate that the architect’s role will be defined in an exhibit. § 4.2.10 If the Owner and Architect agree, the Architect will provide one or more project representatives to assist in carrying out the Architect’s responsibilities at the site. The duties, responsibilities and limitations of authority of such project representatives shall be as set forth in an exhibit to be incorporated in the Contract Documents. What, then, should be included in the CA role assigned to the architect? The nature of the construction administration role is project specific. Some projects require a full-time on-site architect, a clerk of the works, or a weekly or bi-weekly site visit. Because the nature of the CA role cannot be adequately described in a form document, it is especially critical that you take care to describe the specific CA duties assigned to the architectural team in detail. What frequency is contemplated for visits? How long should those visits last? What is your role during such site visits? I see many disputes that arise over a misunderstanding as to how often the architect should be on-site, and what his role is in observing the contractor’s work once he is there. Again, being specific will only help you to avoid misunderstandings, possible litigation, or even extra liability later on. Perhaps the most important concept to remember for your CA role on a construction project: never agree to “inspect” the contractor’s work. Your role should be observation to see that the work is in general conformance with your design. You cannot guarantee the contractor’s work (nor would such be insurable). Therefore, be careful to use the word “observation” and not the word “inspect” in your CA description. What have been your construction observation experiences? Drop me a line and tell me your story. (And thanks to my many new readers to the blog this week!). Photo (c) Mark Hogan via CC.